Welcome back prospective zombie-hunters. Today, we shall talk about outfitting your character with weapons! Sure, you’ve already had a gander at hand-to-hand items, but what about the heavy-hitting stuff? What about the main weapon in your arsenal that you specifically chose because it can splatter a zombie’s brain pan at over 500 meters? That’s the stuff of today’s selection, ranging from assault to shotguns, composite bows to sniper rifles, and machine guns to crossbows. You only get one, so choose wisely! Pros: As the most popular assault weapon the world, the AK-47 and its associated parts proved easily obtainable after the zombie apocalypse. In addition to having a good deal of stopping power and a good rate of fire, the extended mag affords the user a good 30 to 42 rounds of ammo. What’s more, this assault rifle is renowned for being easy to operate, strip down, and can be put through the ringer and still remain operational. Cons: In terms of range and accuracy, the AK-47 is good, but not great. 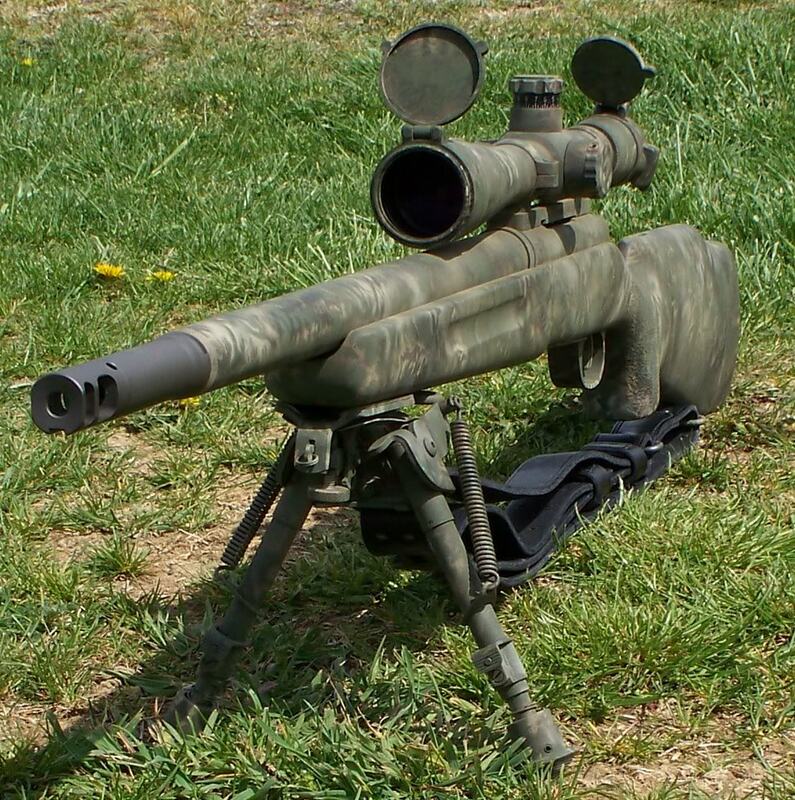 It’s effective range is roughly 400 meters, but it can only provide accuracy for the first 100 or so, making it a poor choice for long range sniping and precision fire. What’s more, the recoil can be a bit of a bugger, which is part the reason its accuracy is not the best. Pros: The scaled-down model of the venerable M16, the M4 is favorite amongst servicemen because of its balance of accuracy, power, range. It’s 30 round mag provides a good supply of ammo, and it can be used to snipe targets at long range (500 meters) as easily as mow them down up close. What’s more, its shortened stock makes it far more portable than most assault rifles. Cons: While the M4 is easier to use than its predecessor, it still suffers from some of the problems that plagued it. It’s complex design can be difficult to maintain in rough and dirty conditions, which zombie-hunters can routinely expect. It’s power is also somewhat limited, compared to heavier, larger caliber weapons. The key is to keep it clean, and all should be well. 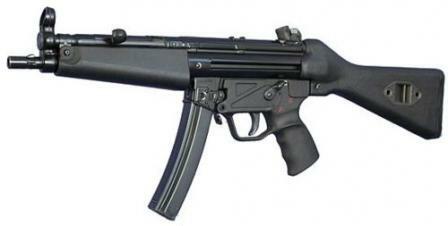 Pros: Designed with law enforcement and special forces in mind, the MP5 is a very balanced weapon, combining a high-caliber 9mm bullet, good ammo capacity (30 rounds), and an effective range in a light, compact package. It’s rate of fire, which can be switched from semi-auto to full, also makes it a good weapon for both precision fire and moving at close range. Cons: The most obvious drawback of this weapon, compared to other rifles, is its range. Given the small jacket size of the bullet and limited muzzle length, it can hit targets at 100 meters away with accuracy, a fraction of what a high-powered assault rifle can do. This also means its stopping power is confined to close range, and cannot be relied on to snipe at anything in the far distance. 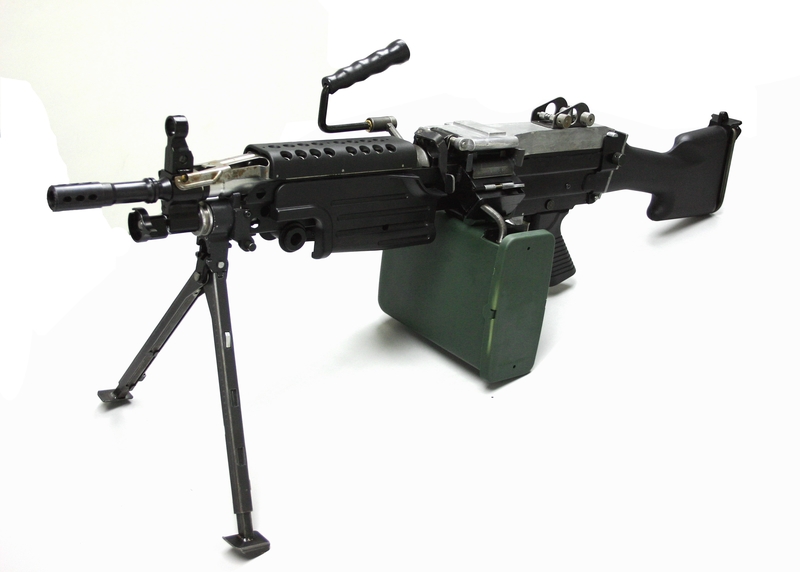 Pros: The Squad Automatic Weapon was designed with fire-power and mobility in mind. 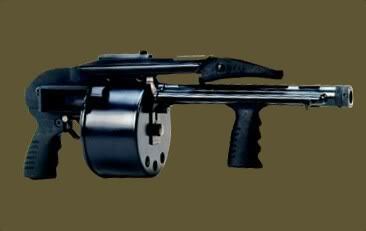 With a rate of fire commensurate with most heavy machine-guns, a fifty round drum, and a relatively light frame, the SAW boasts a lot of killing power without being too tricky to get around. 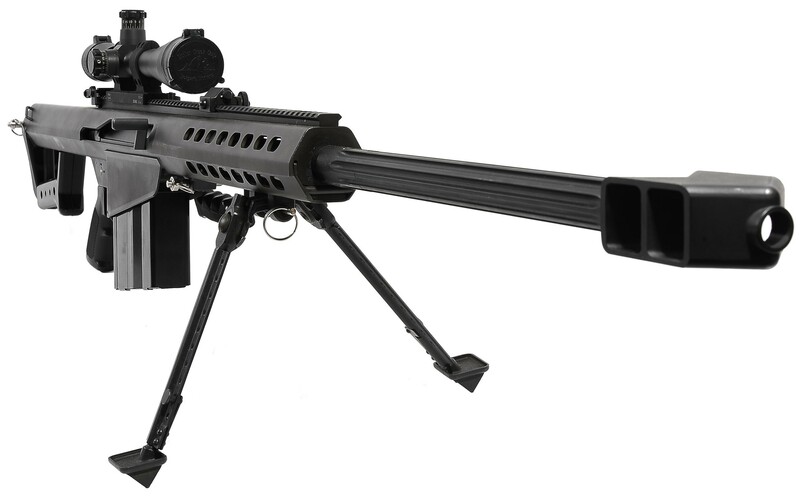 And though a zombie-hunter would be tempted to let loose at close range with one of these, it also has an effective range of 800 meter for precision fire and a total range of 3,600 meters, making it a good long-range weapon as well. Cons: Naturally, all of this comes with its share of downsides. Though it it light for a machine gun, its overall weight is a bit of an issue, not to mention the weight of carrying additional drum mags. And combined with the recoil provided by a high rate of fire (a good 775 rounds a minute), this makes for a weapon that should only be carried by the “big man” of the group. Pro: Known as the Spec Ops Forces Combat Assault Rifle, this weapon was designed with versatility and reliability in mind. The standard model boasts a set of optical sights, a stock handle, and comes with either a 20 or 30 round magazine. It is highly stable, accurate, and has an effective range of 600 meters. The 20 round SCAR-H is a sniper variant, with increased accuracy and a 7.62mm round, while the SCAR-L is a 5.56mm assault rifle with an increased rate of fire. Cons: As a special operations design, the SCAR is not common or easily procured. Those who have them will therefore have a hard time finding replacement parts when compared to the M4 or AK-47. And given the complexity of the design, maintenance can once again be a bit of a problem, especially for those not trained in their use and upkeep. Pros: A cutting-edge design, boasting duel feed magazines and compact dimensions, this weapon is well suited for anti-zombie defense! 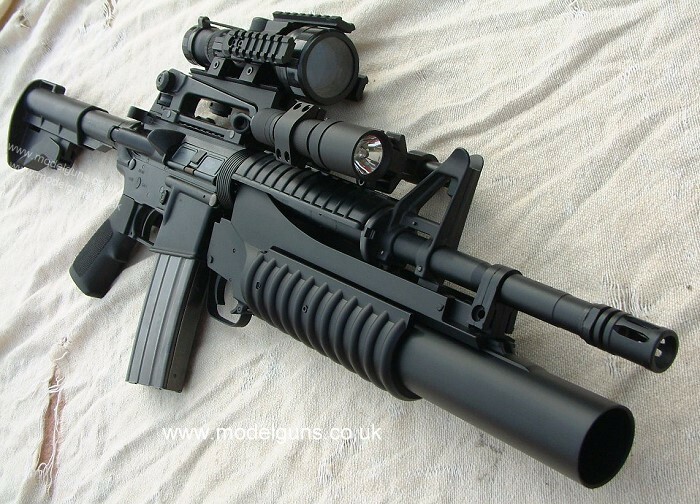 In total, it holds 14 rounds, as is operated by pump action. It’s two handles also ensure a relative degree of accuracy, making head shots a real possibility. Cons: Unfortunately, the weapon has two distinct drawbacks. Though it holds a highly respectable 14 shots between its two magazines, the pump action slows it down somewhat. In addition, it must be reloaded manually, and between its two tubes, that can take some time. This demands that the user find cover after exhausting their supply of ammo, or spend only part of it before taking time to reload. Pros: Originally designed for sport shooting, this automatic shotgun has become a mainstay amongst police and military forces everywhere. Able to shoot in either the pump action or semi-automatic firing modes, it is renowned for versatility, reliability, and firepower. It’s eight round capacity is also highly respectable as ammo capacities go. Cons: The only drawbacks, compared to other weapons in this category, is its limited ammo supply. Though accurate and not prone to mechanical problems, which can happen in automatic designs, the SPAS 12 can deplete its ammo quicker and then takes time to reload. Pros: Manufactured in South Africa, the Striker Protecta was specifically designed to be a counter-insurgency, high capacity weapon with a hell of a lot of punch. It’s size and shape make it compact and portable, and its 12 round magazine give it enough capacity for a prolonged firefight. Cons: In terms of drawbacks, the Strikers has a few. Though it has a good capacity, it has to be reloaded manually, which can take some time. 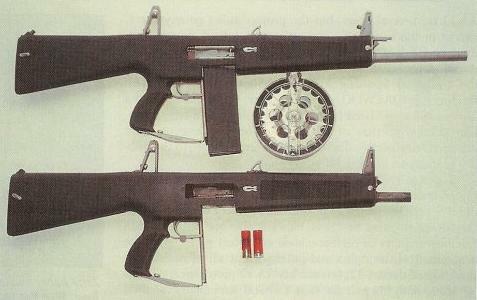 In addition, even though its compact, the drum magazine can make it bulky and awkward to carry. However, it can make up for this since it doesn’t require additional magazines, just a simple ammo belt, in order to be reloaded. Pros: Combining the familiar profile of an assault rifle with the concept of a shotgun, the USAS-12 also manages to combine a high capacity with a lot of firepower! The standard box magazine can hold 10 shots, but the drum magazine gives it a robust twenty. However, this is balanced by the fact that the ten can be reloaded by simply slamming a new box into place, whereas the twenty must be reloaded manually. Cons: The only potential drawback of this weapon is its rate of fire. In addition to being semi-automatic, the gunner does not need to pull the trigger multiple times to get multiple shots off. This can cause have a saturation effect, but can also waist ammo. Remember, zombies hunt in packs, so saturation is only useful in real close quarters. Pros: Where to begin? 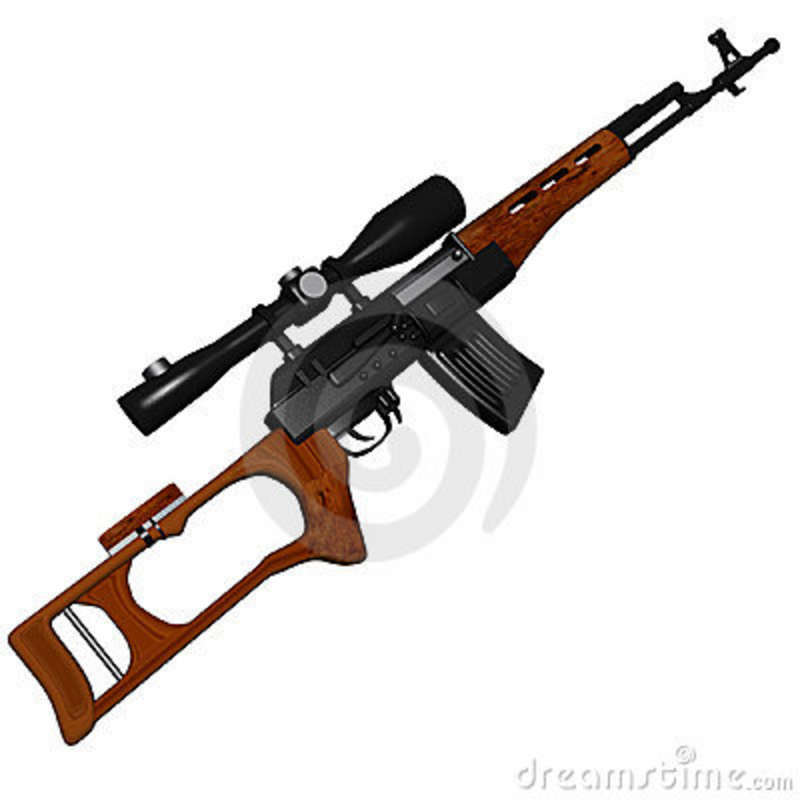 An effective range of 1800 meters, a ten round detachable magazine, and semi-automatic fire. And did I forget to mention a .50 cal slug? Yes, the M82 is a highly effective zombie-killer, and not just because a single shot will take a zombie’s head clean off. 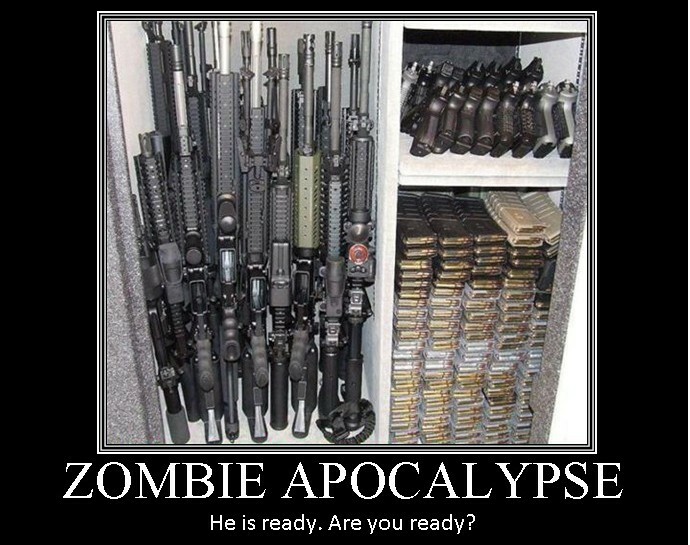 It’s long range, built-in sights, and high-capacity, semi-automatic fire make it an all around effective zombie-killer. Aim for one and watch three more behind it fall with a single shot! Cons: Right off the bat, there’s the issue of recoil. This rifle packs a hell of a punch and repeated fire can be a bit inaccurate because of it. What’s more, the high muzzle velocity and size of the slug makes for a loud bang, so a single shot will give your positions away and attract attention. Pros: There’s something to be said for a weapon that merges several good aspects of an assault rifle with the accuracy and stability of a sniper rifle. A ten box mag, high stability, an effective range of 800 meters, semi-automatic fire and portability make the Dragunov a fitting weapon for the sniper in your zombie-hunting team. 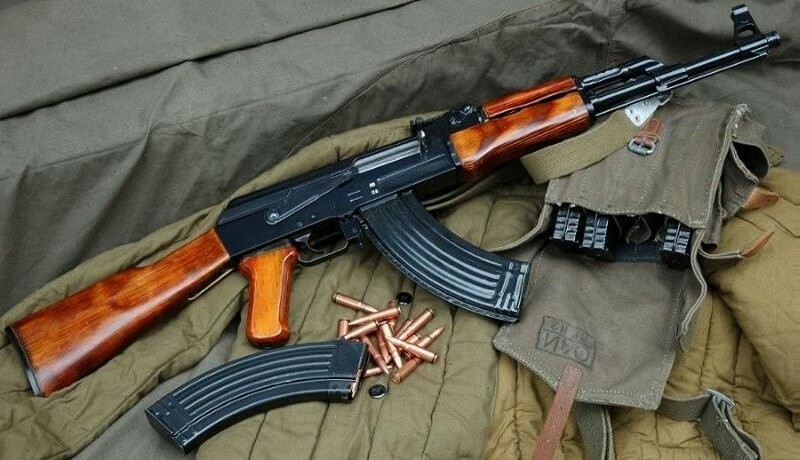 And like the AK-47 on which it’s design is based, its also rugged and reliable in the field. Cons: Unfortunately, this weapon also marries some of the lesser aspects of the AK-47 to its design. Compared to other sniper rifles, this weapon is somewhat lacking in accuracy, due in large part to the relative recoil of the weapon. Repeated shots on target can be a challenge because of this. Pros: When it comes to accuracy and stability, the M40 is virtually unbeatable, hence why the US Marines continue to use the design to outfit their snipers. With an effective range of 900 meters, a ten round capacity, simplicity of design and pinpoint accuracy, it’s a faithful and reliable weapon to have in the field. Cons: As a bolt action, this rifle is slow where repeat-fire comes into play. After each shot, the firer must go then make four moves in order to chamber another round, which be a hassle when dealing with approaching hordes. Pros: A variation on the Swiss-designed SG 550 assault rifle, the sniper variant has many advantages over other rifles. For one, it is highly ergonomic, featuring a folding stock with a special cheek rest for portability and comfortable firing. The recoil is also reduced, making for greater accuracy, and the twenty round mag and semi-automatic fire give it plenty of punch. Cons: The downside to this weapon is the range, which gets up to a comparatively meager 400 meters. It’s a good mid or close-range sniper rifle, but ineffective where long distances are concerned. Pros: In times of zombie apocalypse, simple weapons are often the most effective. 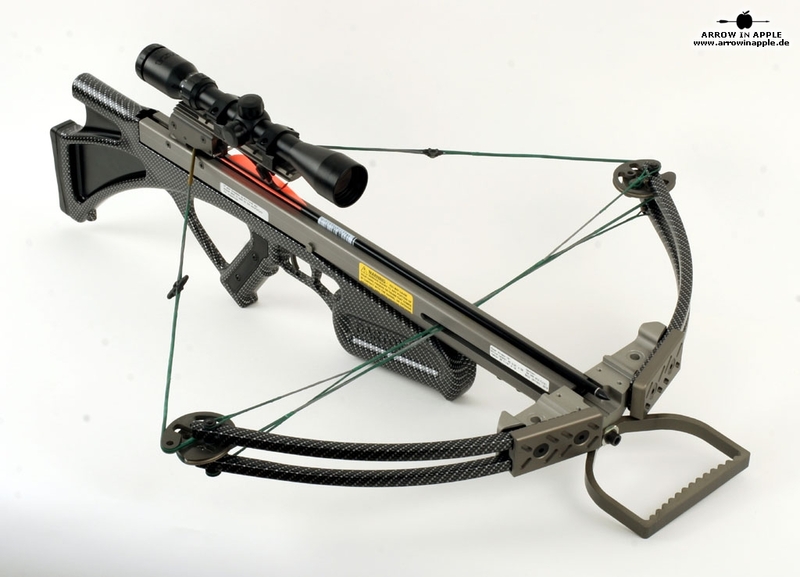 In the case of a composite bow, a single well placed shot to the head or eye socket will take out a zombie, and the fact that it makes virtually no noise is a plus. And given the power of the composite, most shots are likely to do as much damage as a bullet. Cons: Naturally, ammo capacity is limited compared to a rifle, as is effective range. While an experienced bower can hit a target at several dozen meters, the time it takes to reload between shots presents a challenge for anyone who is not highly experienced. Pros: Another traditional weapon which is ideally suited to post-apocalyptic zombie-smashing. 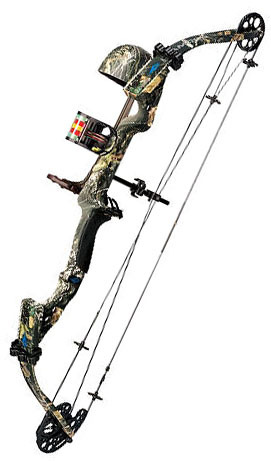 The crossbow has all the same benefits of the composite bow, but is lighter in weight and easier to aim. Once again, a single shot is as effective as a bullet, and the lack of noise ensures a degree of stealth not afforded with most firearms. Cons: Again, range and rate of fire are compromised for the sake of simplicity and stealth. Also, reloading takes time and ammo capacity is limited, even if this is offset by the fact that arrows can be retrieved. Once again, a user must pick their engagements and get in close to their targets to be effective. Are you ready? Pick your weapon, and make sure its a choice you’re prepared to stand behind. Because once that horde comes-a-knocking, there will be no time for swapping and backsies! Alright, Ghost’s melee weapon is the katana, and primary is the MP5. Also, I think you should have people who sign up for the group do their own posts, like a little story to introduce themselves. Doesn’t that sound like fun? Sure, why not? I got Khaalidah doing hers, I imagine Ghost ought to have an interesting one too. I’ll email you when I’m done. Is it okay if Ghost utilizes martial arts and can manipulate chi? Martial arts yes, but chi is violating the realism clause. Sure, zombies aren’t exactly the most realistic thing yet, but we’re trying! Okay, okay. Just thought I’d check. An old friend of mine learned how to do it when he was doing taekwando. I do Taekwon-do. Channeling chi, is that what he referred to as harnessing power? Because that’s really about physics and not spiritual force. I think maybe he called it harnessing energy. I forget. The Hurting Healer, Jamilah Al Mo’alej’s primary weapon is the composite bow. She never likes to get in very close and she is all about silence and stealth. Did you select apparel? That was the previous post in this series. Striker, SPAS-12, USAS-12 and MP5 are fairly rare on the US civilian market. Sig 550 is a bit rare on the US civilian market plus magazines are a bit rare for it as well. Check out http://www.tvtropes.org Lots of fun on that site.